Tetsuya is a member of a yakuza clan which recently fell apart. Rivals from another gangster family are trying to recruit him, but do not succeed. He is determined to set his life straight, but his past keeps haunting him. Suzuki creates an intelligent, ironical depiction of the ethos of gangster films, using pathos to portray mob loyalty and its honor code. He makes fun of the genre, sharpening and exaggerating the convention, and uses the elements of westerns, kitschy Hollywood musicals, and the surreal pop mannerism of the 1960s. But "Tokyo Drifter" is more than just a pastiche. It combines modernist film aesthetics with effects taken straight from the traditional Japanese theater – unnaturally sharp colors and meticulously composed, ostentatiously fake set design, create a unique, original visual spectacle. The addition of a dark sense of humor and a generous amount of violence explains why Suzuki’s masterpiece inspired filmmakers such as Quentin Tarantino, Takeshi Kitano, Jim Jarmush, and John Woo. Born in Tokyo in 1923, died in 2017. Director, screenwriter, actor. 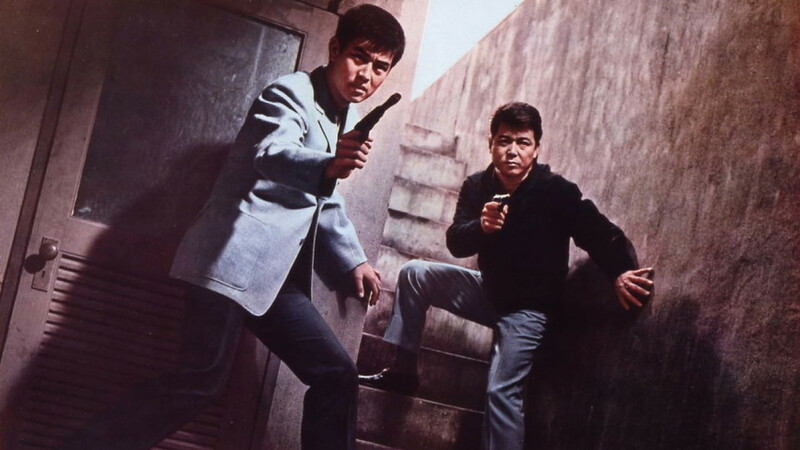 Made over 50 films, including 40 for the Nikkatsu studio, which he worked for for 12 years, before the producers terminated the agreement due to the radical, unusual, and crazy vision of the filmmaker. It led to massive demonstrations, but even though Suzuki won a wrongful termination suit, he never went back to his former, hectic pace of production. His recognition as the master of B movies came fairly late, but he nevertheless had an enormous impact on the popular cinema in Japan and abroad.